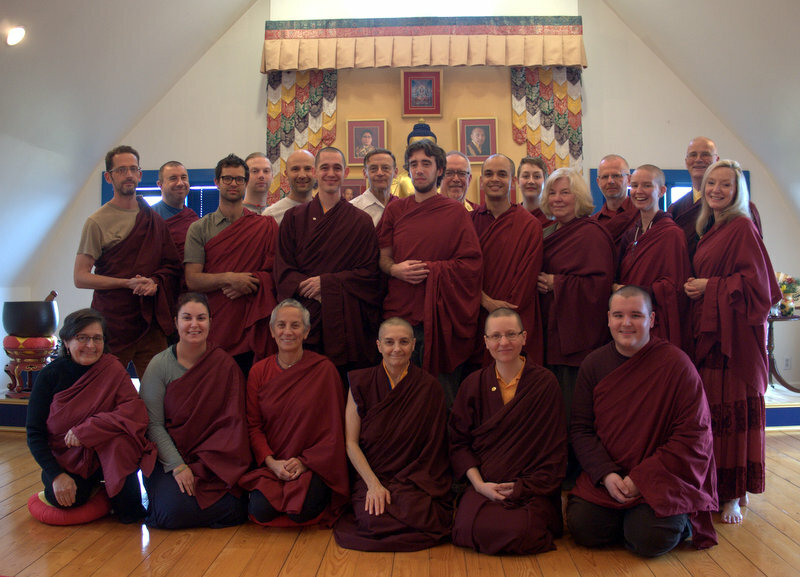 Summer is passing and fall arriving at Gampo Abbey as we conclude our first year of residential monastic training, The Warriors Who Are Meek, from the Shambhala Monastic Order. This year of training was initiated by an instruction from Sakyong Mipham Rinpoche to continue the tradition of offering temporary monastic training residencies by designing curricula based on the Four Dignities of the Shambhala path. 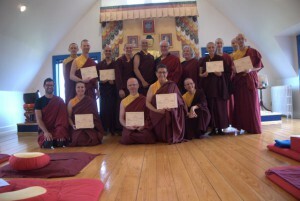 As part of the monastery’s role in helping to hold deep practice and study, the intention was that a period of complete immersion in the dharma would offer practitioners the opportunity for processing and deepening which can also benefit the broader society as more people train in this way and return. Our year began with the gentle arrival of eleven new participants (eight of whom have completed the year) and a welcome circle to join the existing community led by Director Richard Haspray. Participants familiarized themselves with the daily schedule of four and a half hours of practice. 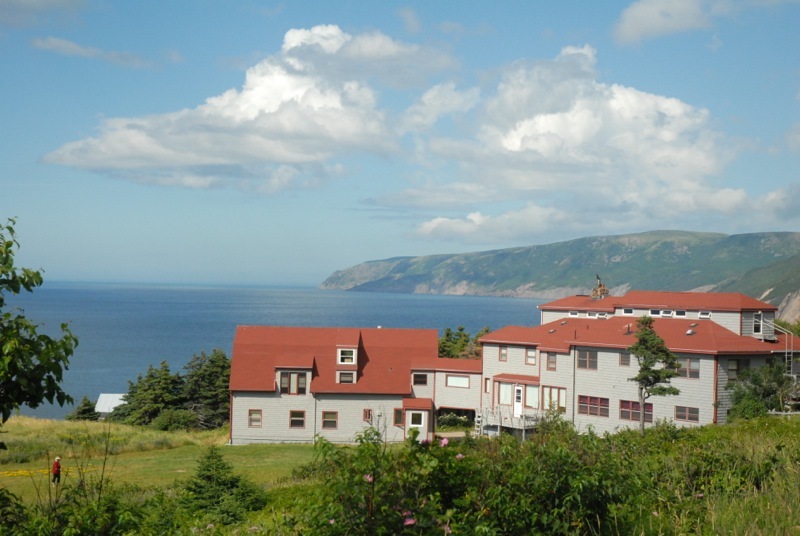 They learned their service roles in the community, including a trip to nearby Pollet’s Cove to help clean up the iconic spot and connect with the energy of the land. We then began our formal training with courses on the ground of basic goodness and friendliness to self, and introduced Shambhala Meditation. 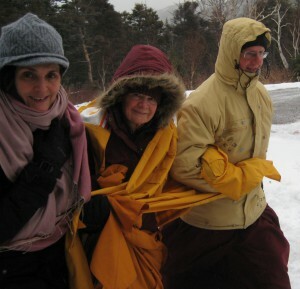 The main teaching team for the year was Gelong Loden Nyima, Shastri Alice Haspray, and Ani Lodro Dechen, with retreat teachings from Gampo Acharya Pema Chodron. We continued with courses on the path of discernment, using dyads and contemplative meditation to deepen our appreciation for the effects and transformative power of our actions both individually and socially. This was supported with evening study sessions of the classical teachings on karma given by the Sakyong lineage at seminaries, and supportive texts. 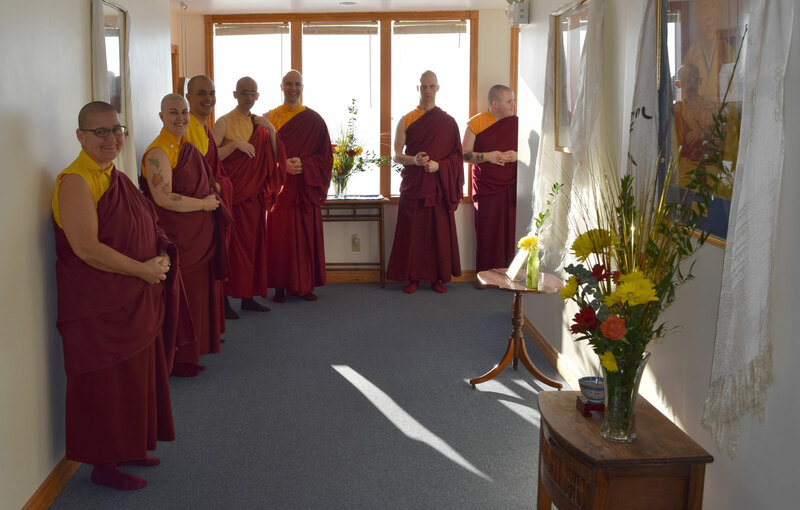 One potent way we practice these teachings in the monastery is through the Sojong ceremony, which occurs every two weeks and includes self-reflection, group sharing, purification, and renewal of intentions. To help us turn away from distraction we practiced the four reminders: the preciousness of human life, the impermanence of all and imminence of death, the power of karmic action, and the futility of suffering in samsara. It was from this ground that we looked ahead to receiving temporary ordination – fully utilizing this precious opportunity to deepen and lay positive conditions for the future. 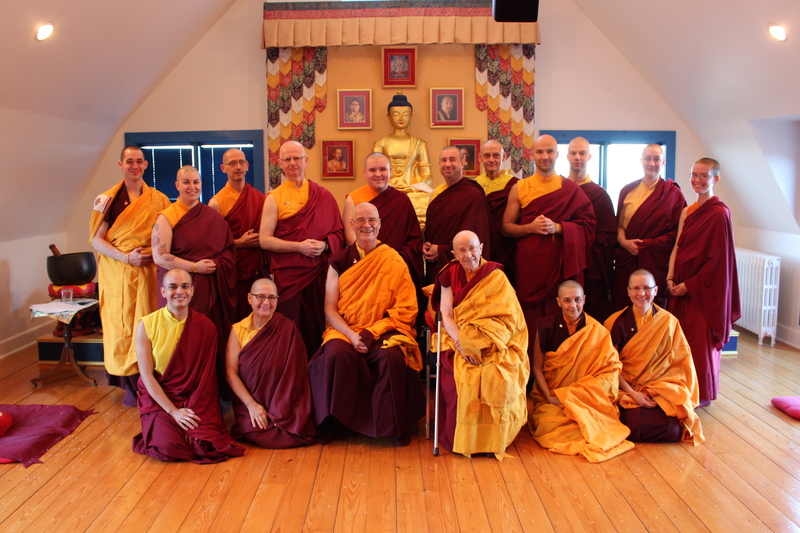 The week before ordination we traveled down to Halifax to attend Sakyong Mipham Rinpoche’s teachings on the Shambhala Sadhana, which we practice weekly as a community at the Abbey. The Sakyong was pleased to see such a large number in attendance. There, we had the opportunity to ask questions about our current venture and to receive direct guidance about our year of training underway, which was very encouraging. Back at the Abbey we made final preparations for temporary ordination, such as learning the five basic precepts, reflecting on our intentions, and learning how to wear the robes with good lungta. 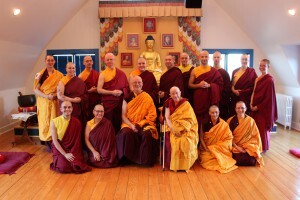 Ten participants then had their hair cut, emulating the act of the Buddha, and received ordination on the 12th of December, further embarking on the year of contentment. This was a proud day for the Abbey as it was the first ordination offered within a Shambhala Monastic Order program, and also the first by new preceptor Gelong Lodro Kalsang, receiving the torch from beloved elder Ani Migme Chodron who retired from her position after many years of service. Shortly afterwards, we prepared for the arrival of Ani Pema Chodron to lead our annual Yarne retreat, this year themed around the selflessness and basic goodness of who and what we are which we had begun to explore, and the methods of friendliness and mindfulness. Yarne also included expert guidance in the posture of meditation with Hope Martin, and intensive weeks of Shambhala Meditation. All had the chance to enjoy interviews with Ani Pema to receive personal guidance and instruction. Yarne’s long hours of meditation and silence also became the time when our year moved past its honeymoon and into the main work of truly meeting the entirety of our minds. It was a potent and transformative time, though not always an easy one. 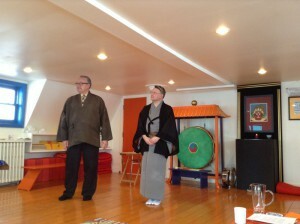 It concluded with Shambhala Day celebrations and three days of open time to rest and relax. We also waved an early and tearful goodbye to two participants for whom it was time to move on into household life. As it happened, after a few regular weeks our next major event to prepare for was a visit from the Sakyong himself! 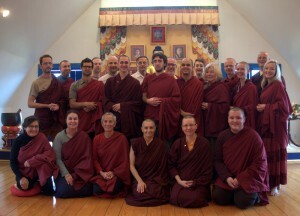 The Sakyong arrived at the Abbey on the 10th of March for a one-day visit. 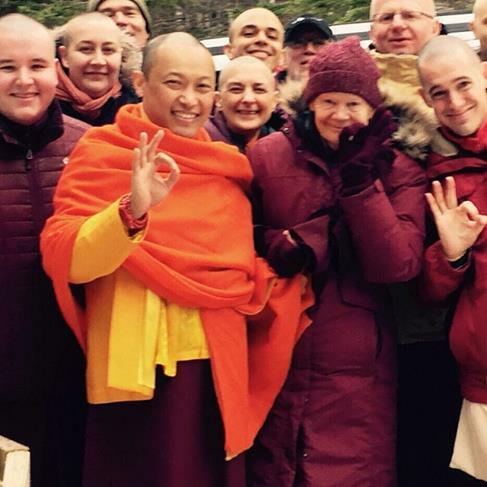 It was something of a milestone as it was the first time the Sakyong had visited the Abbey since having established the Shambhala Monastic Order. 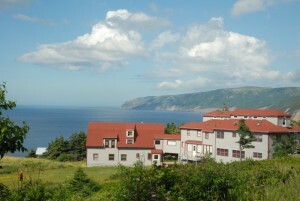 His address to our community focused on the fundamental dignity of human beings as the ground of enlightened society, whether in the monastery or the larger world, and highlighted the role of the monastery as a place of intensive training in and expression of the virtues which naturally follow from this awakened essence of life, further empowering society. This was both an encouraging instruction and a seed of much to come. Our leadership also met with the Sakyong, who offered much guidance on our path of holding and practicing the Shambhala terma teachings as the heart of the monastery. After a sad and joyful goodbye to the Sakyong, Ani Pema gave teachings on his text The Vow, sessions that were open to the larger community. Then we marked the Vidyadhara’s Parinirvana with offerings of tea from John Soyu McGee Sensei and Alexandre Soro Avdulov Sensei, who were visiting from Halifax. They generously offered the Abbey a gift of three scroll paintings of the three traditional bodhisattvas, brought back from their travels in Japan. Shortly thereafter we waved goodbye to Ani Pema and took some time as a community to regroup and process together, sharing our experience as warriors having now journeyed roughly halfway through our year of the Tiger. It was touching for us to see each other’s process so far, and worthy of much space and reflection. Our practice and study continued with a close examination of the teachings on shamatha as a support for our path of meditation. We also continued with extended contemplation and practice of the Sakyong’s teaching of Shambhala Meditation. In my own experience, this was one of the most powerful parts of the year in discovering unconditional friendship, caring, and the fruition of contentment and confidence. Now as we conclude, we have been discussing Shambhala Household teachings to reflect on the container we’ve had, and to aid in the transition many participants will soon undergo. Still eager for more study, some students also journeyed through the progressive philosophical tenets of the Buddhist view in our evening sessions. We will complete the year with a few days of intensive practice of the Shambhala Sadhana, final warrior’s exchange circles, and a graduation and goodbye ceremony before participants depart. Two will be staying for a second year of training, The Warriors Who Are Joyful, which will begin in January 2016. If you’re curious about what it actually is to live a year of training in the monastery, the ups and downs, the inspirations and challenges, and the personal journeys, stay tuned for a series of articles from the participants themselves. 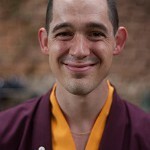 Shastri Loden Nyima is a fully ordained monk and has been in residence at Gampo Abbey since 2009. 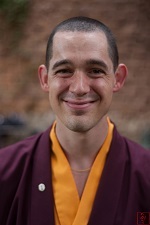 He serves as Monastic Secretary to Sakyong Mipham Rinpoche and as Head of Education at Gampo Abbey, where he designs and leads training programs offered by the Shambhala Monastic Order. He was born in Texas and in his free time loves to meditate, study, and exercise.